To be successful, biodiversity offsets should compensate indigenous peoples, local communities and other local stakeholders for any residual impacts of the project on their biodiversity based livelihoods and amenity. They also need to deliver the required conservation gains without making local people worse off, for example due to land and resource use restrictions created by the biodiversity offset. 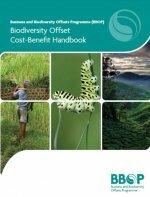 This requires a cost-benefit comparison between the benefits of the offset and the costs to local people of the residual biodiversity related impacts of the project and of the offsets. The purpose of this Handbook is to provide guidance on how to use economic tools of valuation and cost-benefit analysis to address these challenges.